The “egg crate” design of convoluted packing foam has long been a popular one when it comes to safely cushioning items for shipping or storage. After all, if it is good enough for the incredibly fragile egg, it should be good enough for your precious valuables, right? At Soundproof Cow, we absolutely sing the praises of egg crate packaging. Convoluted egg crate shipping foam provides more surface area, which means more cushioning, and its convoluted shape makes it easier to interlock and secure items, preventing them from moving. But it’s important to remember that not all egg crate packaging is the same. You cannot glue together a bunch of old egg cartons from the grocery store and expect your items to get the protection they need. 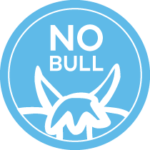 Fortunately you don’t have to, since you can order egg crate convoluted packaging foam from Soundproof Cow right now. There is no end to the benefits of egg crate, or convoluted, foam packaging. Polyurethane is a great foam material and it is quite light. It’s also a tremendous shock absorber and is quick to recover its shape. This makes it perfect for protecting your most delicate and fragile objects — much more so than bubble wrap, air cushions, packing peanuts or other popular methods of shipping protection products. Egg crate foam is resilient and abrasion-resistant, so it won’t fall apart while you are using it, but it’s easy to cut so you can make it into just the right shapes you need to protect your items with little stress. If you are sending delicate items and it is critical they arrive at their destination undamaged, packing them with egg crate convoluted foam packaging may be your best bet. We stand by the quality of our egg crate convoluted packaging foam. Available in a multitude of sizes, from 1.5x2x6 to 3x2x4 to 3x2x6 to 5x2x4, this multi-functional product uses our durable polyurethane foam and is flexible and easily cut to match your requirements. We know you will love this product and it will do a great job of protecting your most fragile and important items. 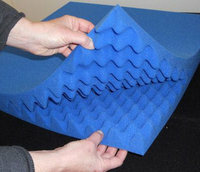 Soundproof Cow’s reputation for providing great soundproofing and high-quality foam products is well-known. We take pride in bringing our customers the best when it comes to soundproofing and other foam products, and our egg crate foam packaging sheets are no exception. To order your egg crate foam packaging, or if you have any questions about this product or about which foam packaging options are right for you, just contact Soundproof Cow today.